Minister of Finance Felix Mutati last week was awarded the 2017 ACCA Advocacy Award winner for sub-Saharan Africa. Mutati is expected to officially receive this award next month in Scotland. So how can a Minister who is being celebrated with awards stand reshuffled or dismissed? In October 201 6, Mutati launched a home grown economic recovery program dubbed “Zambia Plus”. Mutati said the program provided the country with solutions to the challenges being faced, adding that the government would seek external support as a supplementary measure. The program comprised of five pillars, which include strengthening tax policy and administration to improve revenue inflows and to shift public expenditure to affordable levels. This also involved reallocating subsidies that had grown to over 1 billion U.S. dollars this year from 600 million dollars in 2015, with the saved money expected to be channeled in more productive areas. He also invited the International Monitoring Fund (IMF)to support the program with $1.6billion package and help reform parts of the economy. Mutati then launched road-shows and talk shows to bring confidence to an economy left in debt and policy tatters by veteran politician Alexander Chikwanda. But what drove doubt between Mutati and his work was nothing economic but his relationship with an insecure President Edgar Lungu. 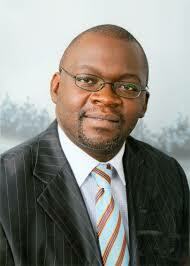 Mutati was leader and President of the former ruling party Movement for Multi-party Democacry( MMD). With the support of former President Rupiah Banda, there appeared great effort to revive the lost political fortunes and ground of MMD. Although Lungu rewarded his alliance with the MMD with 12 out of 21 ministerial positions, this thirsty group from MMD greedily elbowed out the PF members out of every position, financial and business opportunity. It didn’t take long before the simmering tension saw senior PF members; Chishimba Kambwili and Harry Kalaba while leaving people like Kelvin Bwalya Fube (KBF) inside but disgruntled and marginalized. WHAT HAS FELIX MUTATI DONE? Mutati is accused of using his portfolio to raise money for the MMD and bolster his 2021 presidential ambitions. • Stealing $360m in conjunction with Libyan crooks who claim they represent Lapgreen a state-owned by the former fallen Libyan government. Mutati and Attorney General Likando Kalaluka dropped the case in Lusaka and entered into a consent Judgement ( with persons that can’t represent or are masquerades of Lapgreen)affirmed by a London Arbitration process. In January 2018, Felix Mutati caused the payment of $49million to Lapgreen. Other nations have refused to deal with assets of Libya until a legitimate and widely recognized central government exist in Libya. But Mutati and Likando, despite these security warnings that they payments to Lapgreen in its current illegal status,would haunt the country, have proceeded to hastily conclude negotiations and made first installment. The duo gave President Lungu a report that Lapgreen had obtained a London High Court order ( which order they have not bothered to challenge or appeal) to seize Zambian properties abroad. • a missing half billion dollar ($500million) sovereign guarantee given to crooks that have been cashing in installments of $50million! The crooks purported that they would obtain a loan for ZESCO and just recover their transaction fees. Without due diligence, a sovereign guarantee was issued. Zambia has been forced to involve Interpol to trace the crooks as the terms of the sovereign guarantee cannot be cancelled. Margaret Mwanakatwe- In his recent reshuffle, President Lungu is accused of further entrenching MMD or Easterners by giving them lucrative and senior positions! He has promoted Margaret Mwanakatwe to Finance, Mathew Nkhuwa to Energy and Dora Siliya to Ministry of Information portfolios while relegating Bembas like Yaluma to smaller positions! Although Mwanakatwe appear to have requisite qualifications, as a top banker, she is a known drunk and an alcoholic and its doubted whether she will bring confidence to the markets and the economy as Mutati did. 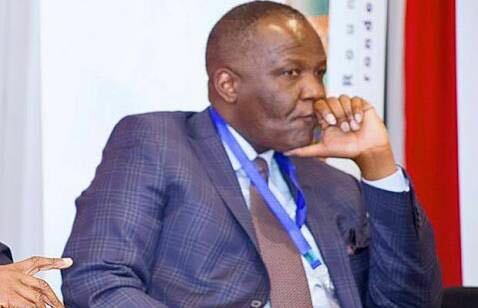 With the millions of dollars secure and obtained so far, Felix Mutati might choose to pursue his political dream of leading the MMD into an election in 2021 than seat as a Minister of Works&Supply. Dora Siliya will now be the face of the PF and government, with memories of her vile insults against PF founder President Michael Sata still fresh!